Ghorepani Poonhill is a colorful short foray in the Annapurna region. Takes you to the world's highest and most beautiful mountains. For magnificent mountain views & impressive panoramic landscapes. Adventure Treks Nepal Pvt. 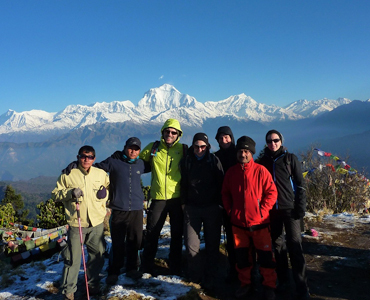 Ltd. is founded by a team of experienced tour, trekking and mountaineering professionals. We pride on our attention to detail for our personal service as we designs tailor-made travel itineraries to deliver an Annapurna Base Camp Trek unique travel experiences in wild and wonderful destinations of the Himalayas. 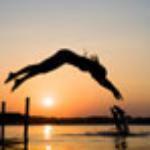 Our program is adventurous which is full of fun and at the same time we are committed to safety and freedom. 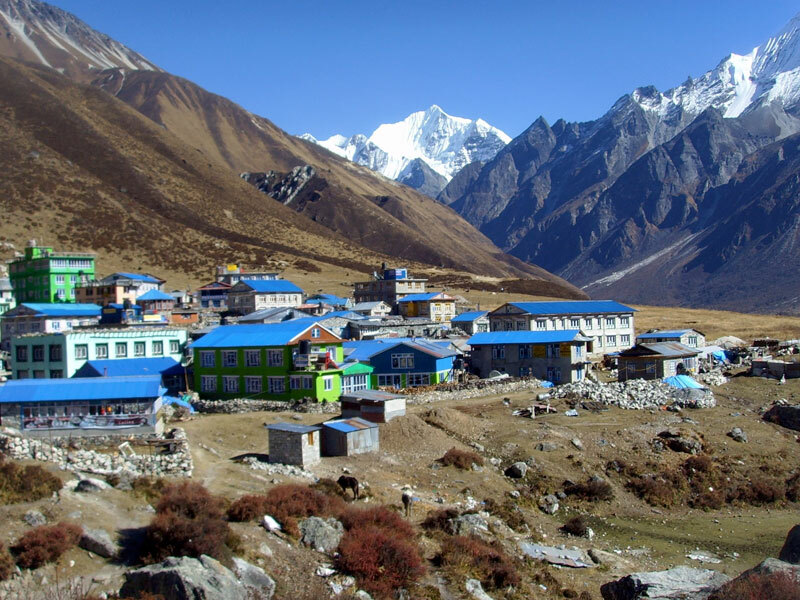 All of our adventure is about self discovery and removing ourselves from the annoyances of daily life and embarking on a journey that may bring peace of mind and drastic change Everest Base Camp Trek on our lifestyle. 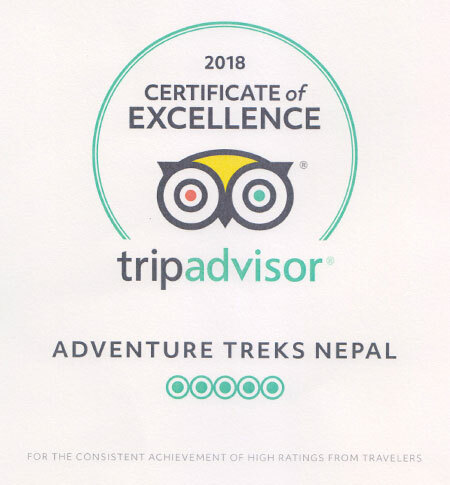 We are happy to say that Adventure Treks Nepal is a reputed adventure travel, tour operator and trekking agency which is registered and fully licensed by the Government of Nepal. We also hold an active membership of Everest High Passes Trekking Trekking Agencies's Association of Nepal (TAAN), Nepal Mountaineering Association (NMA), Company Registrar (Ministry of Industry), Cottage of Small Industry, Ministry of Tourism & Civil Aviation , Department of Tax, Foreign Currency Exchange, Himalayan General Insurance co. Ltd. (Insurance for Staffs) and Thamel Tourism Development Council. 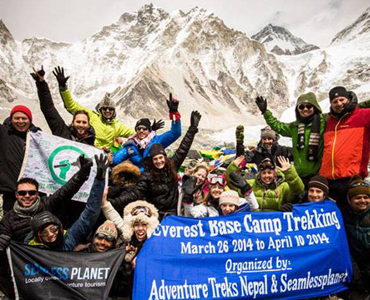 Why with Adventure Terks Nepal? We Listen and care about your dreams and objectives for your trip. Explores new ideas and possibilities beyond your imagination. Crafts tailor-made options to fit your exact needs and comfort level. We Plan and organize everything from A to Z. We Provide consultation and answer all your question prior to the journey. We Take care of all trip details and logistics when you get there. Allows you to keep in touch with friends and family in the remotest areas. We are recommended by Lonely Planet (7th Edition, Page no 328, 8th Edition Page no: 333, Published Date: Sep 2009, 9th Edition Page no: 32, Published Date: 5th July 2012, 10th Edition Page no: 35, Published Date: Dec 2015, 11th Edition, Page no: 35, Published Date: July 2018 & Trekking in the Himalaya 9th Edition Page no: 27, Published Date: August 2009 and 10th Edition. Page no: 30 Published Date: Jan 2016). Please meet Adventure Treks Nepal's crew members, tour leaders, verify our official documents and know more about ethics, value and morality of our business. Trekking in the Himalayas opens up new horizons of awareness, blending physical challenge with mental relaxation and a spiritual elation inspired by splendid scenery and heartwarming human encounters. 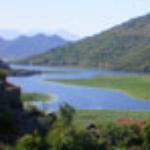 Different trekking routes offer a different range of lengths and difficulties. Some trekking routes are just a day hiking trip and some are very long and high altitude exploration over the mountain pass. It depends on the your own choice to fulfill your dream. Trekking can be as long or short, as easy or difficult as you wish. 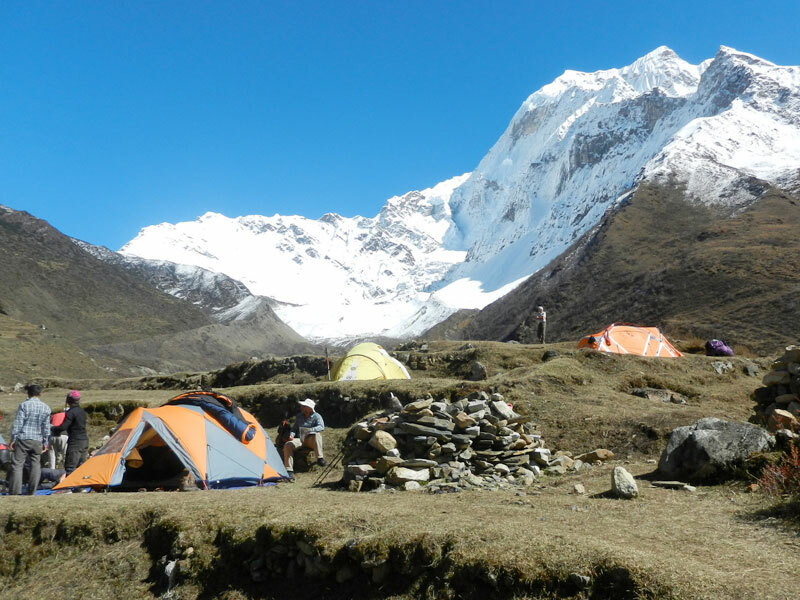 There are two types of trek in Nepal- those where you stay in small lodges or " tea house" and those which are fully organized or "camping treks". 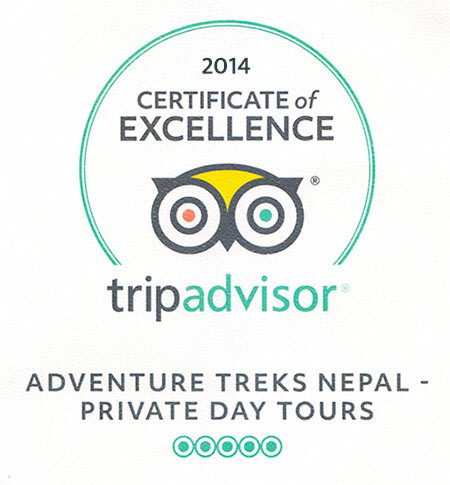 We are a Professional trekking agency, specialize in giving you Nepal the way you want to see it. 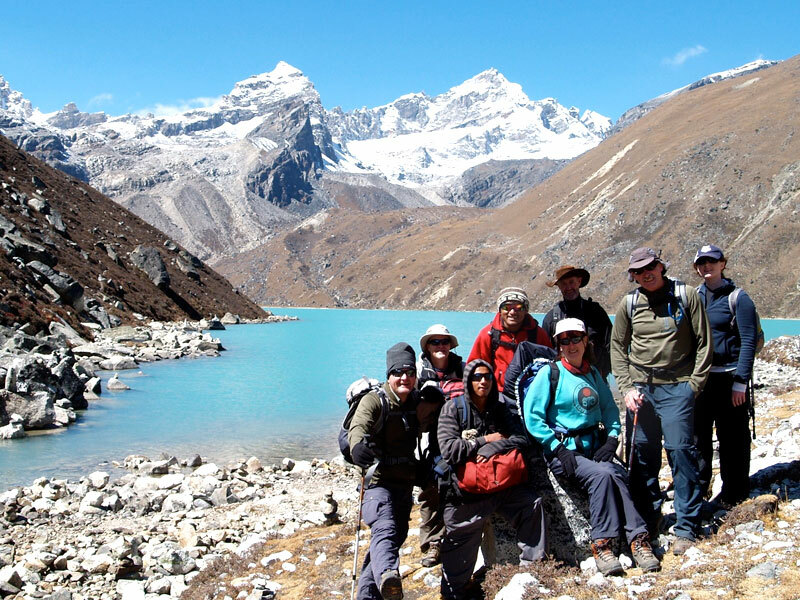 We tailor make trekking requirements with a team of well experienced hands. Though Nepal has plenty lots of trekking region and every hill offer unique experiences, we are presenting here some of the most popular trekking routs in the Himalayas. 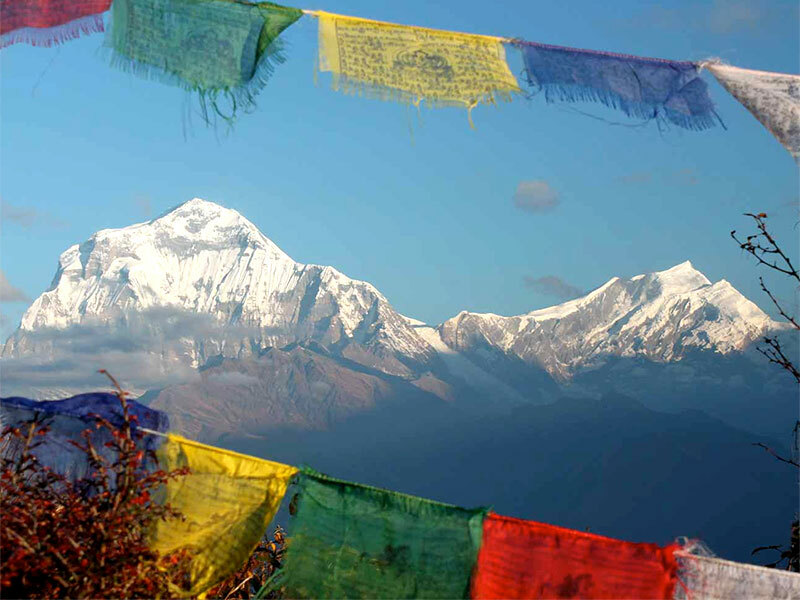 For magnificient and breathtaking views of the Annapurna range. Towards the lap of Mount Everest, the highest peak in the world. Trek through some of the most beautiful scenery in the Himalayas. Visiting the most inaccessible and firmly controlled area in Nepal. Trekking with your family and friends in Nepal. Arrangement of adventurous journey to the highest point on earth. 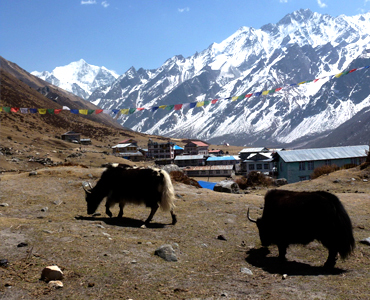 Nepal is not only for trekking and climbing, there are even more. Here is what our client says about our company, our services, our staff, our activities and even more. Amazing adventure!! For those of you researching trekking companies, you can stop and just book with AT Nepal. I did hours of research and have now done two treks with this company and it doesn't get any better. Gyanendra led a fantastic team for us, a family of 5 up to Ghorepani. Roof of the world, land of ancient Buddhist culture, awesome landscapes, artistic monasteries and centuri es-old caravan trails. 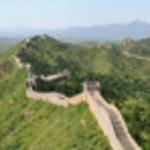 The dragon kingdom also known as the last paradise on the earth, lies in between India and China reflects age-old religion, culture, arts & architecture. Tiny and beautiful state in between Nepal and Bhutan is home to glaciers, alpine meadows and thousands of varieties of wildflowers.